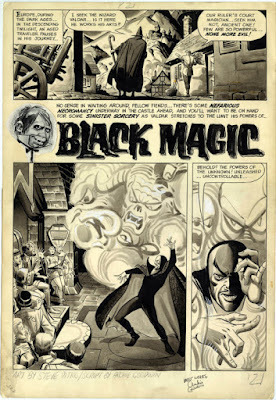 Via the Bristol Board: Original Eerie splash page art by Steve Ditko. 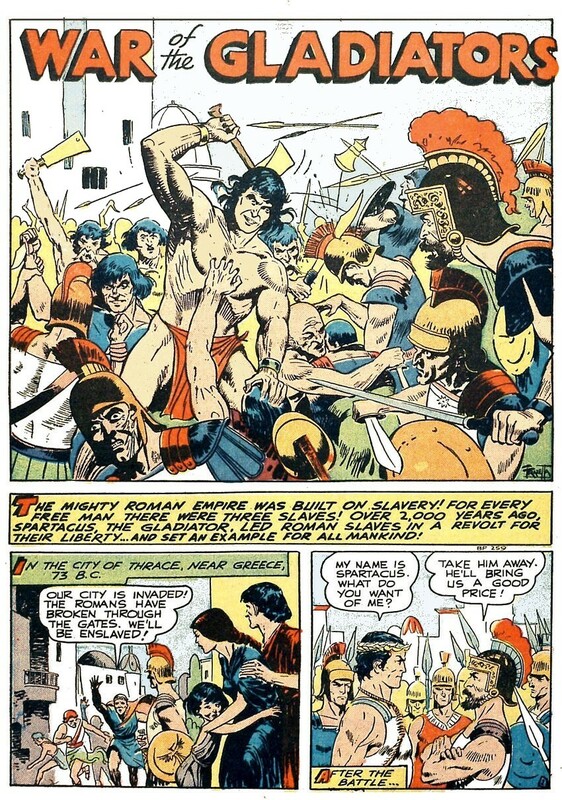 Big Glee looks at the origins of "Origins of Marvel Comics." Veteran comics artist Dan Spiegle died at age 96 last weekend. His friend and collaborator Mark Evanier has a personal remembrance here. 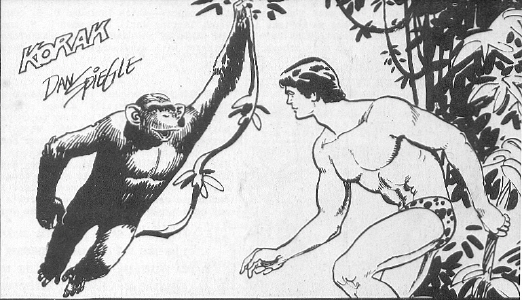 Spiegle drew many of Gold Key and Western Comics' TV-related properties during the 1950s and 60s, including Lost in Space, Green Hornet and Sea Hunt, along with Korak: Son of Tarzan. I encountered his work later, in the 1970s and 80s, when he started providing art to DC Comics' titles such as Brave and the Bold, Batman and Teen Titans Spotlight. 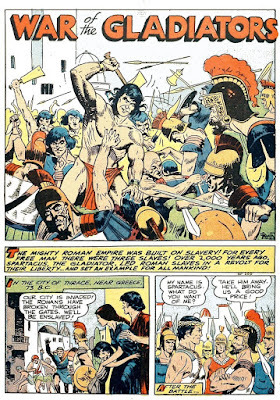 Via Pappy's Golden Age: Frank Frazetta's Spartacus.